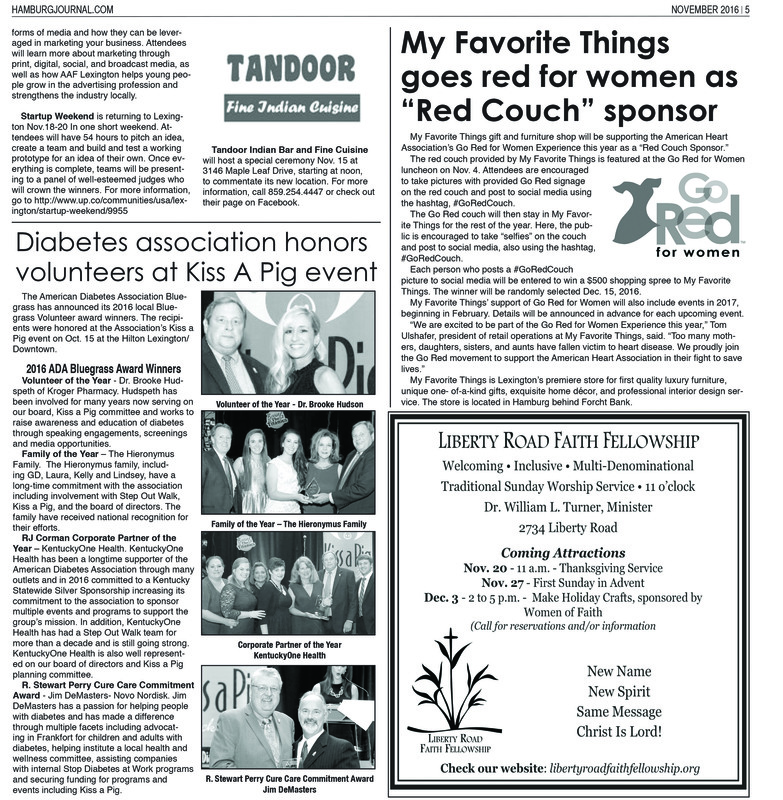 The red couch provided by My Favorite Things is featured at the Go Red for Women luncheon on Nov. 4. Attendees are encouraged to take pictures with provided Go Red signage on the red couch and post to social media using the hashtag, #GoRedCouch. The Go Red couch will then stay in My Favorite Things for the rest of the year. Here, the public is encouraged to take “selfies” on the couch and post to social media, also using the hashtag, #GoRedCouch. Each person who posts a #GoRedCouch picture to social media will be entered to win a $500 shopping spree to My Favorite Things. The winner will be randomly selected Dec. 15, 2016. 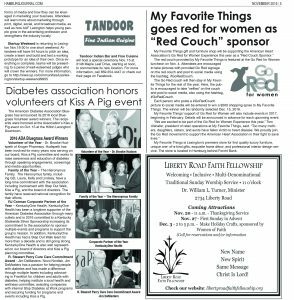 My Favorite Things’ support of Go Red for Women will also include events in 2017, beginning in February. Details will be announced in advance for each upcoming event. 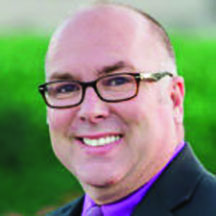 My Favorite Things is Lexington’s premiere store for first quality luxury furniture, unique one- of-a-kind gifts, exquisite home décor, and professional interior design service. The store is located in Hamburg behind Forcht Bank. This article also appears on page 5 of the November 2016 printed edition of the Hamburg Journal. For more Hamburg area news, subscribe to the Hamburg Journal weekly digital newsletter.